Before Samsung released its Galaxy S5, there were rumors of other premium models. Such devices didn’t arrive, but now there’s evidence suggesting they could be coming soon. A video showing what’s likely the Galaxy S5 Active with an aluminum back case surfaced over the weekend from TKTechNews.com, appearing on SlashGear and other sites. And reported photos of the Galaxy S5 Prime — a phone with expected 2K resolution screen and faster processor — quickly followed. This first video shows a quick look at the outside of the Active, complete with metal back and what looks like a rubber seal around the casing for water resistance or waterproofing. It’s possible the phone on camera is a standard Galaxy S5 with third-party metal cover as a second video takes a deeper dive into the handset’s specifications, showing a Qualcomm(s qcom) Snapdragon 801 processor — the same chip powering today’s Galaxy S5. The bigger bang for buck would likely be the Galaxy S5 Prime with an expected 2560x 1440 resolution: A step up from the 1920 x 1080 display on the current Galaxy S5. That phone is also supposed to use a faster Snapdragon 805 chip paired with 3 GB of memory. Pictures sent in to Phone Arena from a tipster show the alleged device with higher resolution display but it’s not possible to discern any difference in the screen quality. The phone is also expected to have a metal back. I had thought Samsung would be scaling back the Galaxy S5 models once it made the current edition dust- and waterproof. From the looks of it, however, that may not be the case. I do like the idea of Samsung using a metal back on its handsets, as all of the prior Galaxy S handsets use plastic — a material that some consumers don’t want when paying $600 or more for a phone. If Samsung does offer a premium version of the Galaxy S5, I’d hope the additional costs works out to $50 or less else it may have a tough time attracting a large number of buyers. Thanks for sharing such informative posts, I have seen folk’s comments on internet complaining about S5’s camera issues, but honestly speaking its amazing device for me. 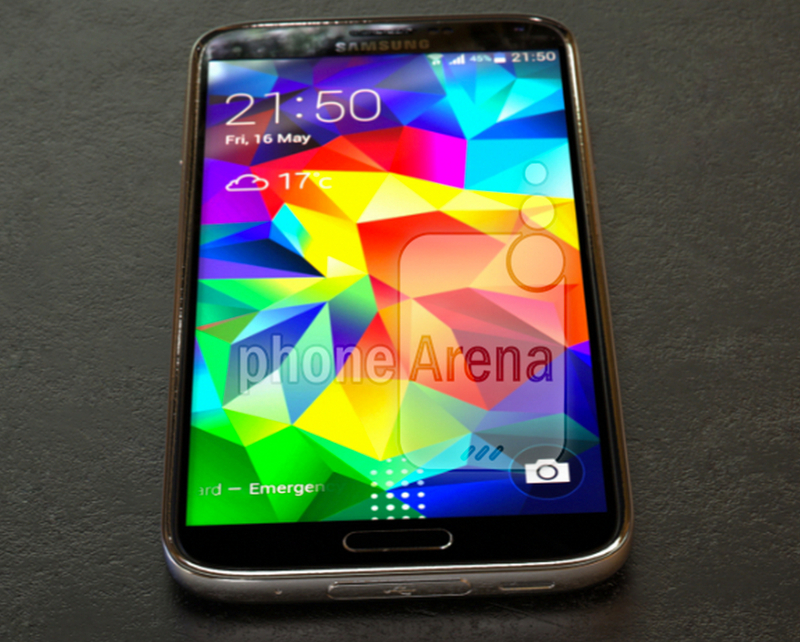 but now I am eagerly waiting for Samsung Galaxy S6 to get it release.